Oman Food Festival: Let Your Taste Buds Sing! If you are lucky enough to be visiting the delightful city of Muscat in Oman during the month of February, ensure you that you make your way to the Qurm Natural Park and bask in the wonders of Omani delicacies and a multitude of delicious other goodies prepared by skilled chefs from the Oman Tourism College. 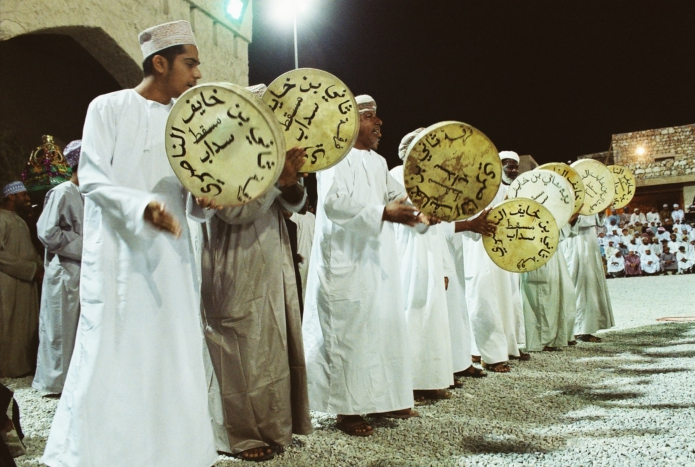 The Muscat Festival has been conducted annually by the relevant authorities for nearly ten years and each year, the festival becomes better and better. In 2013, for the first time ever, the Oman Food Festival is introduced as a part of the Muscat Festival. The festivities include the skill and talent of leading chefs in the country including those from the Oman Tourism College as well as the Chefs Guild who will come together to create culinary delights that will set your taste buds singing. This year’s festival commenced on the 5th of February and the ongoing fiesta is to conclude on the 21st thereby giving visitors’ an opportunity to experience all that it has to offer without any restrictions. Some of the features at the event include live cookery shows, preparation of delicacies, education classes for kids as well as a takeaway food service. The live shows are to composed of nationally renowned chefs making local and foreign recipes to display their diverse culinary expertise while the educational classes conducted by the municipality for the children of the area is focused on healthy eating. One of the highlights of the event is the preparation of an Omani delicacy that takes more than two days to prepare: shuwa. This involves preparing meat in a clay oven to make it extremely malleable and then marinating it in spices that creates an Omani delicacy complete with a very unique taste to the unfamiliar palate. The sit down dinner service complete with a buffet is guaranteed to thrill you and is an ideal opportunity for a different culinary experience than the dinner at your Oman hotel. This sit down dinner service is available from 7.00pm to 10.30pm daily and if you are unable to do so, the takeaway service is sure to allow you to delight in these culinary masterpieces. After such a delightful evening out, you would surely wish to return to one of the classy Oman hotels in this capital city and the Al Wadi Hotel Sohar is a luxurious choice for those who wish for nothing but the best. This entry was posted in Food Events & Festivals and tagged Oman, Oman Food Festival by pushpitha. Bookmark the permalink.